Looking for a sweet treat to spread on your piece of toast? 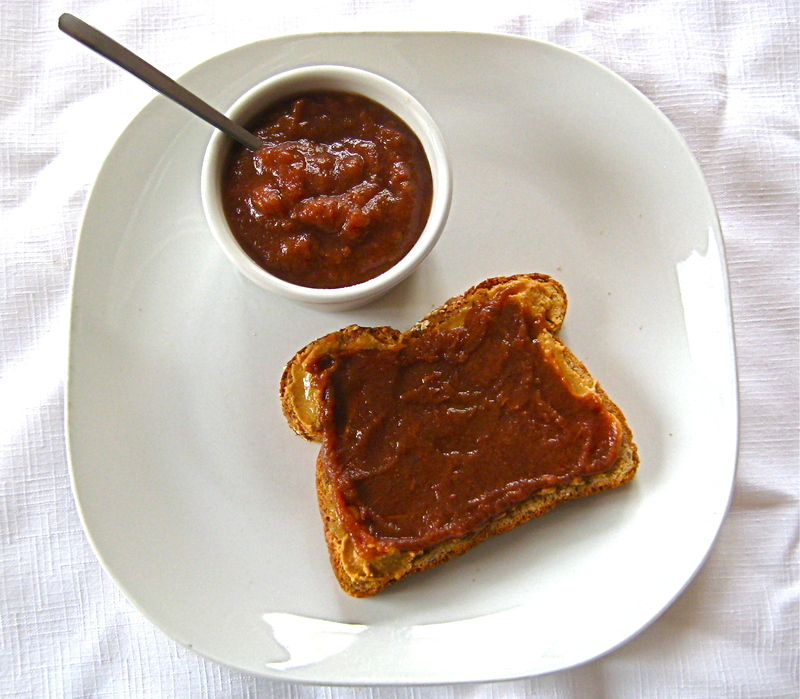 Consider homemade apple butter instead of jam or jelly. I love it combined with almond or peanut butter on fresh-from-the-oven bread… or topped on vanilla coconut milk ice cream. Put all the ingredients in the slow cooker. Mix to combine. Cook on high for 4 hours. Reduce the temperature to low for 2 hours. Remove the lid and use an immersion blender to purée until smooth. Continue cooking, uncovered, stirring infrequently, for an additional 5 to 8 hours until very thick. Mmm! This butter would be nice on a warm scone – an apple-chai one perhaps! Definitely! Did you end up making them? I did make them, but they didn’t last long! I’ve had this and I LOVE it!!!!!!!! Enjoy! Let me know how it goes.